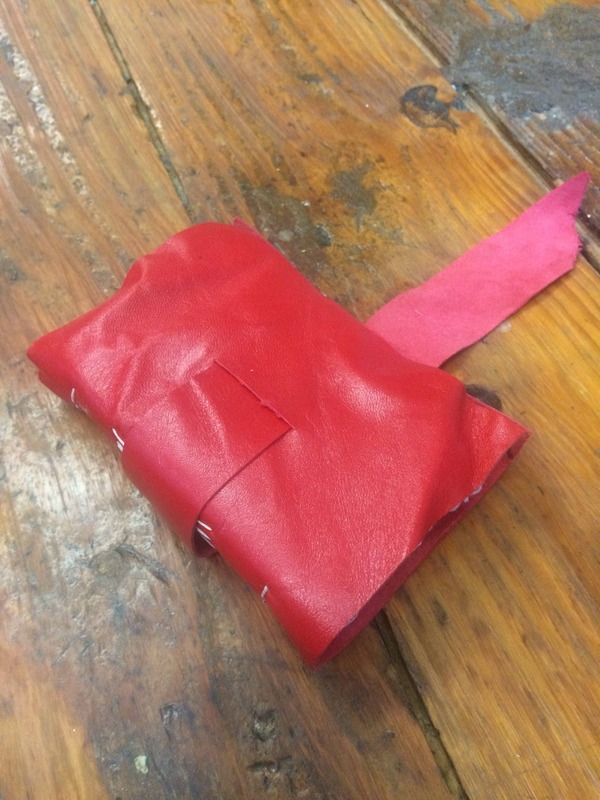 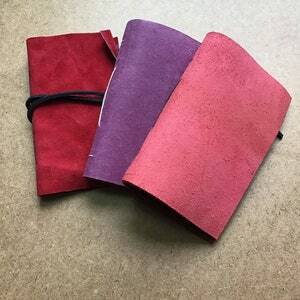 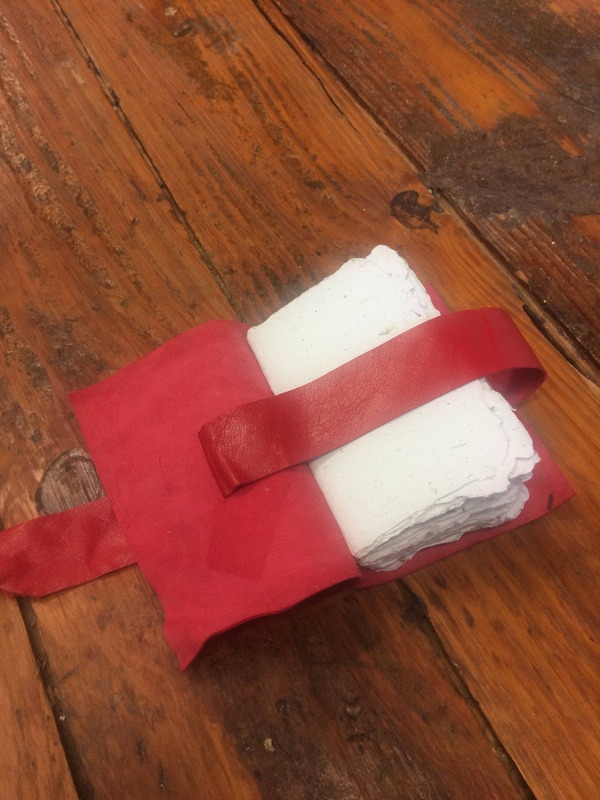 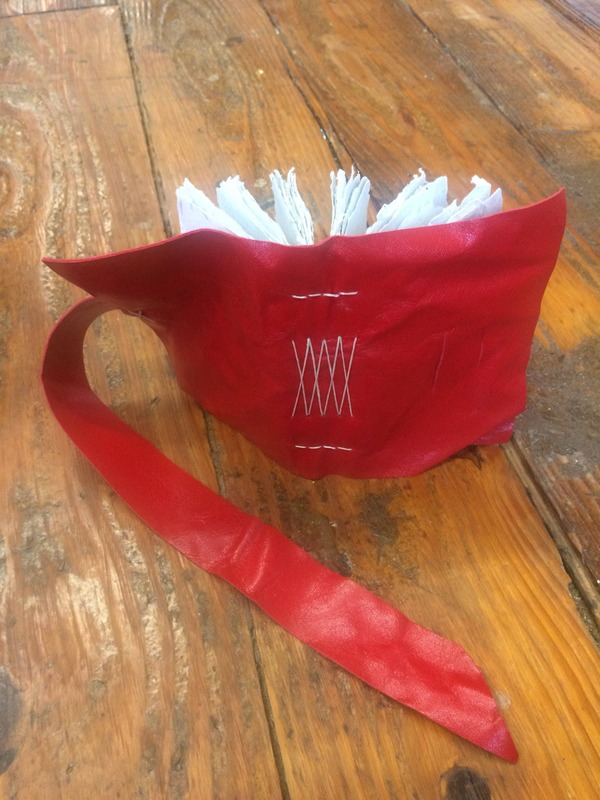 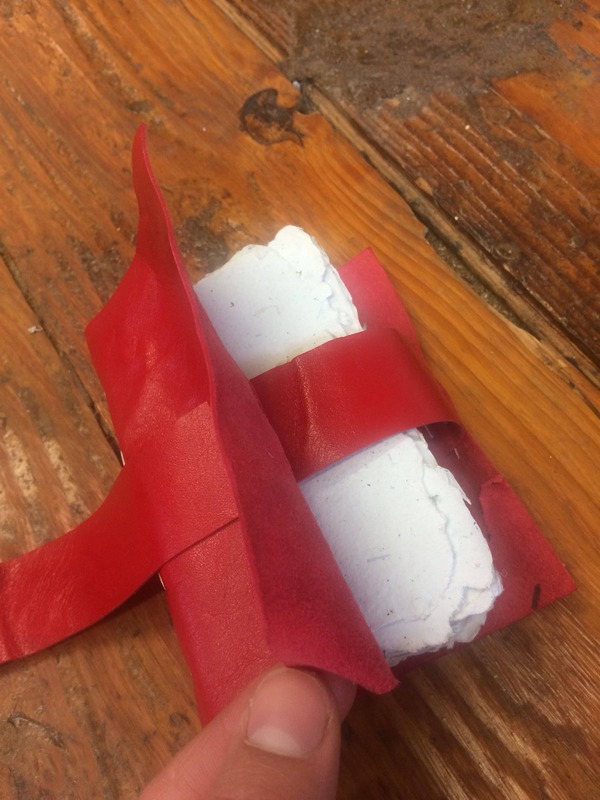 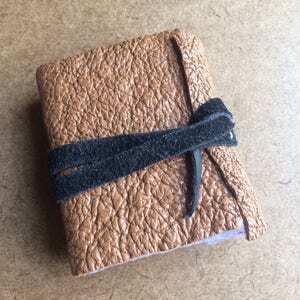 This listing is for one pocket sized soft cover journal made from red leather, sewn in the long stitch style with white waxed linen thread. 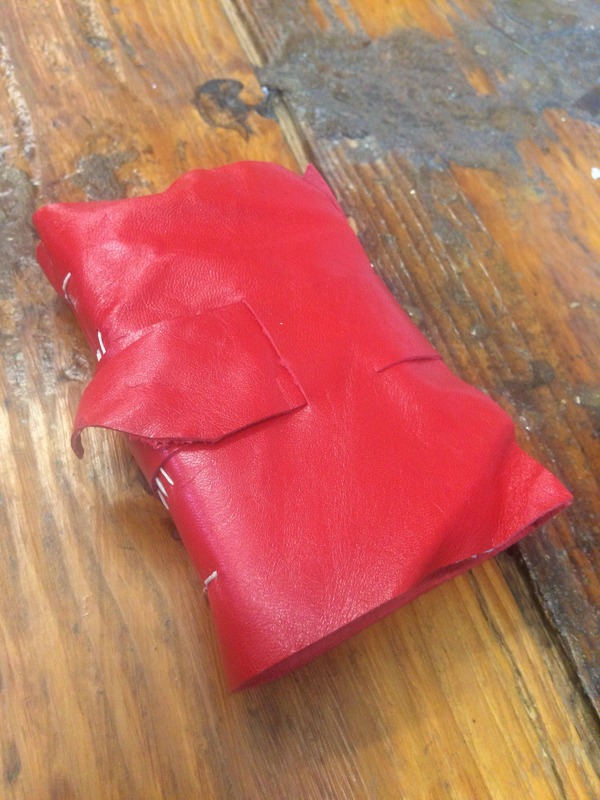 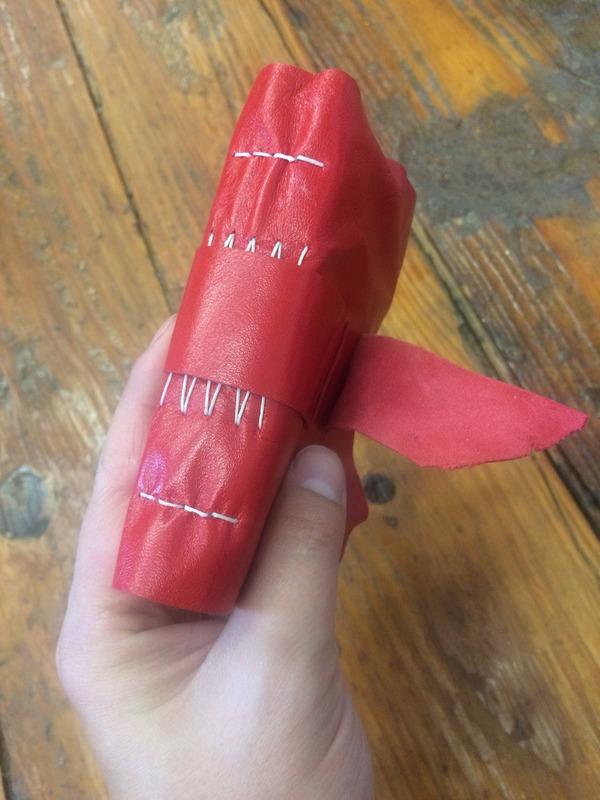 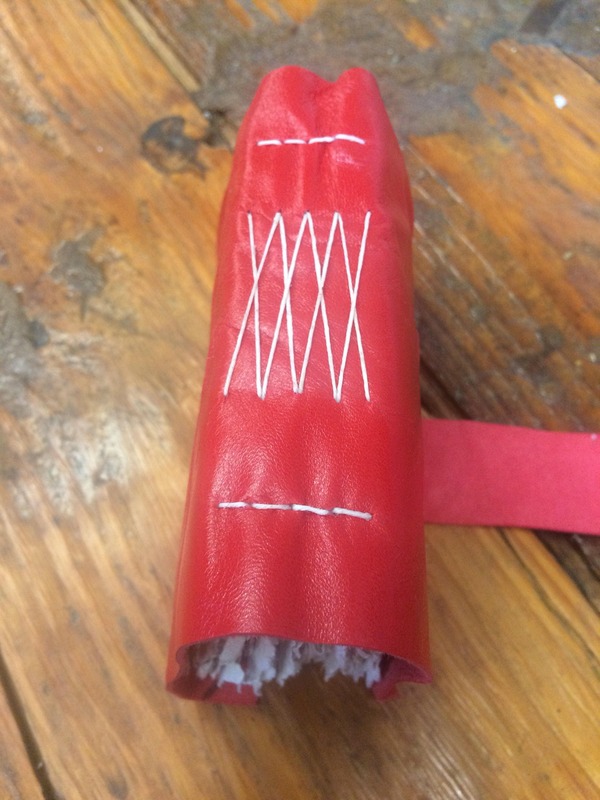 The cover is made from patent red leather. 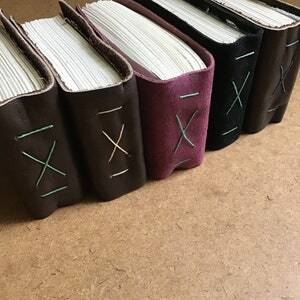 There are 50 pages (100 sides) in this journal, with all of the naturally deckled edge characteristic of paper handmade paper. 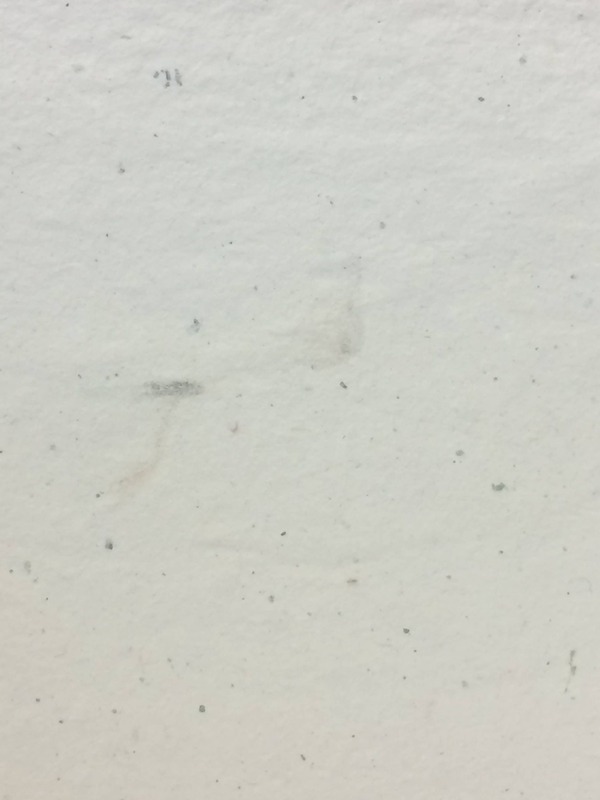 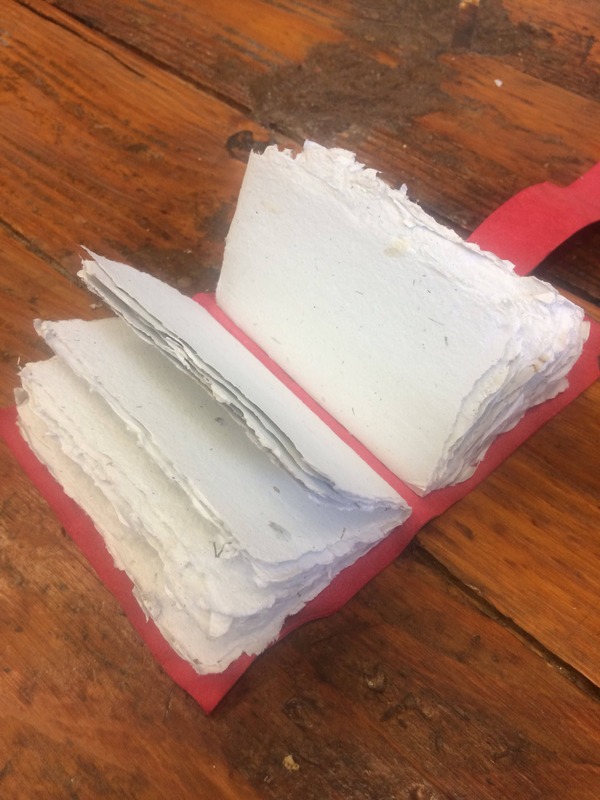 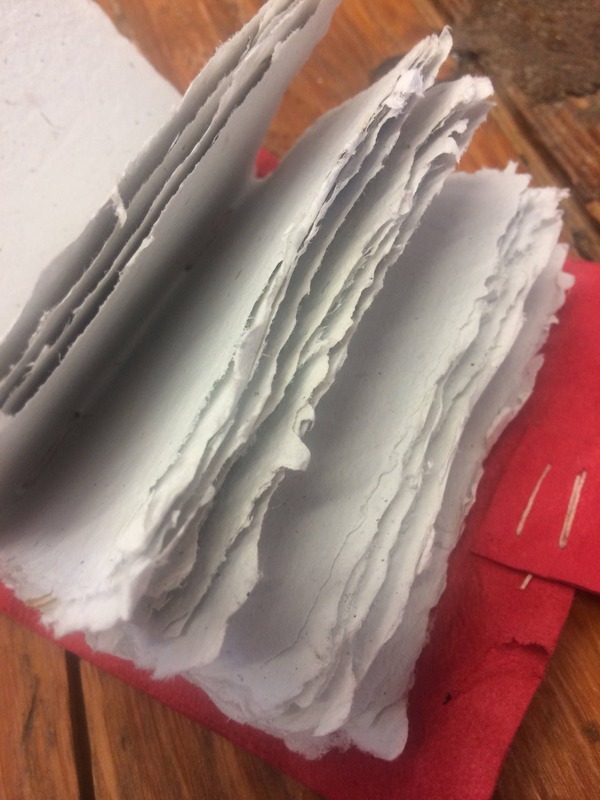 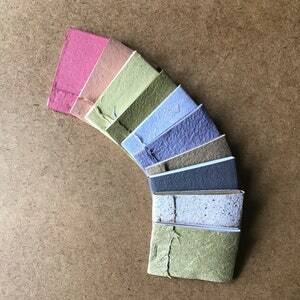 The pages are off white recycled handmade paper made from 100% recycled paper, with occasional floral inclusions.